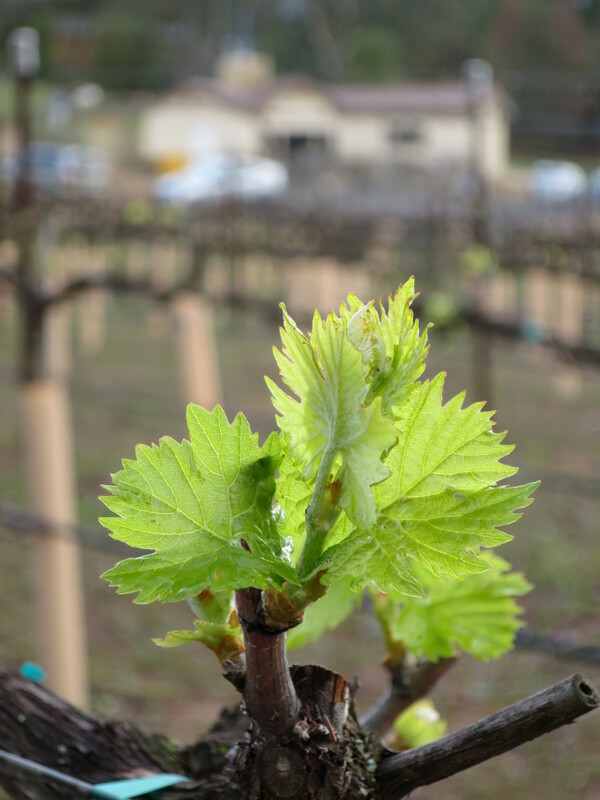 Bud break has launched early, so we’re really pleased with ourselves that the pruning was complete in mid February. Here are two photos of the 2014 Sangiovese starting its 6 month count down to harvest. The tasting room is in the background of the second shot. 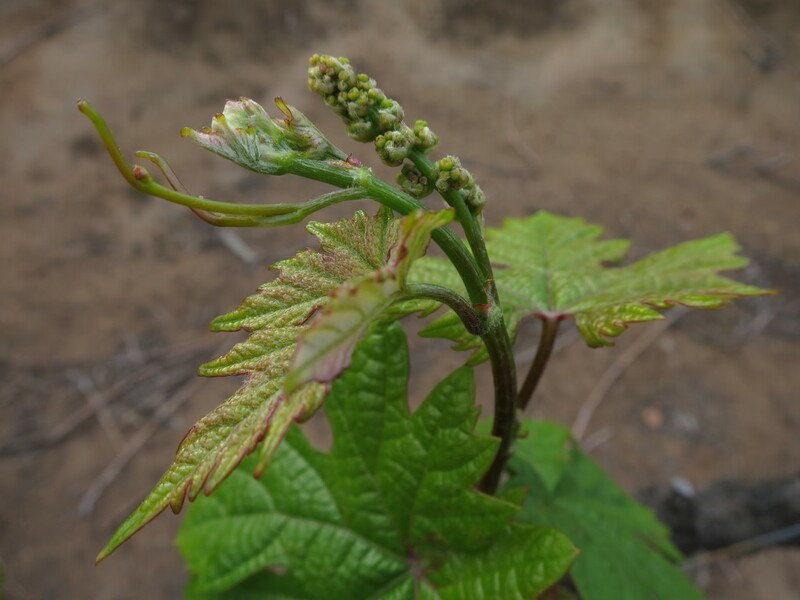 Below is the Zinfandel on 26 February showing the tendrils and clusters that have already formed. 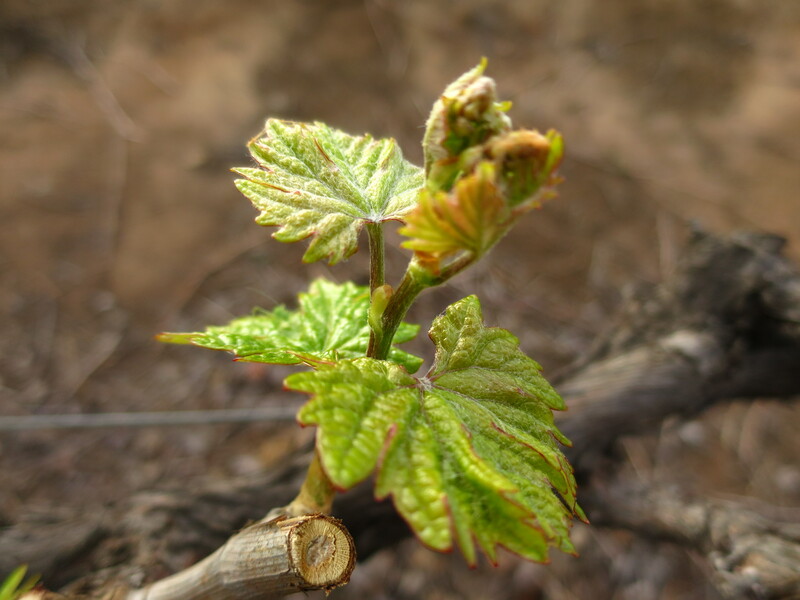 With grapes, this year’s crop was already “set” last year. 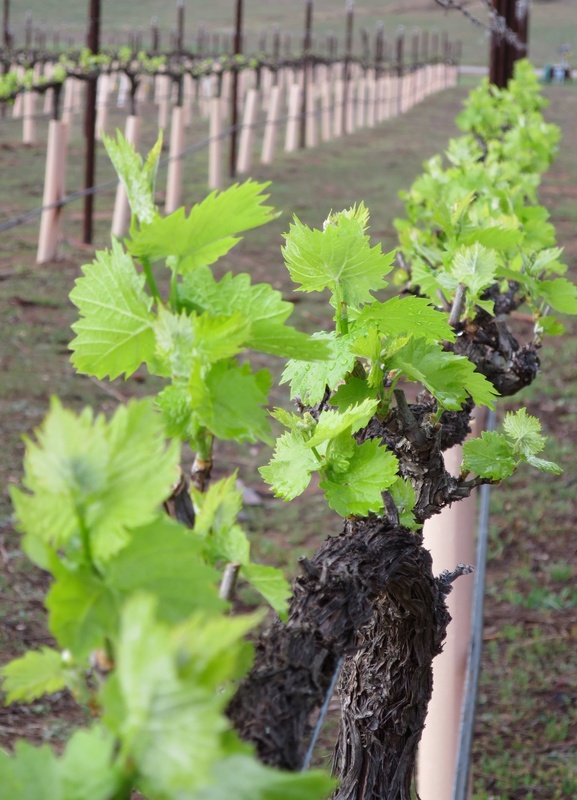 The pruning technique limits the number of canes and the distance between them.